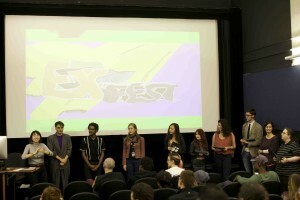 ExTV is now accepting submissions for ExFEST 2019, SAIC’s 14th annual film festival! 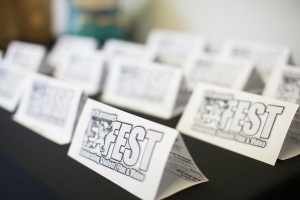 ExFEST, held every year in the fall semester, is a film festival made by students, for students. This gives our filmmakers and artists a great way to win festival awards, show their work in front of a select jury and audience, and showcase some of the best video art made at SAIC! The event will occur around October 2019, so make sure you come back around at the beginning of the fall semester to find out the final date. Good luck! What kind of videos/film can I submit? 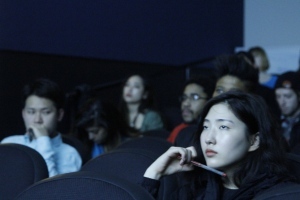 We pride ourselves in the diverse community of video art at SAIC, so don’t be afraid to submit your work. We encourage keeping it between 2-20 minutes, though we keep in mind animated works can be shorter than that. 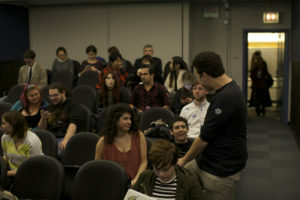 The ExTV team will review all submissions and decide if your work will be screened at our festival. You can submit MORE THAN ONE WORK, which can raise your chances of getting in! And don’t worry, we will keep your video in our database for future opportunities no matter what. How can I submit my work? You can upload directly to our Google Drive or provide a pre-screener (downloadable) link through the ExFEST application below. – Artist must be a current student or recent 2019 graduate of SAIC (this includes Fall 2018 graduates). – All works submitted must be uploaded via this form, or Vimeo – and made downloadable. – Do NOT email us a link/file of your video without filling out our form. We will ask you to submit it through the form. Before submitting, check if your video file meets these specifications for optimal screening purposes. Refer to this image for our Premiere export settings. If your video doesn’t follow these formats (ex. 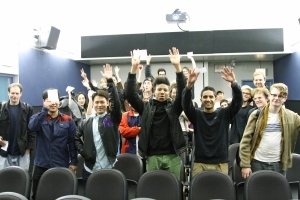 you made a vertically positioned video), just email us at extv@saic.edu for help! For questions or concerns, email us at extv@saic.edu. Submissions are due by July 1st, 2019. Accepted participants will be notified by August 28, 2019.